Gas stoves allow the user to control the heat immediately after turning on a burner or the oven. You can turn the flame up as high or low as required. Gas stoves stop cooking when the heat is turned off. 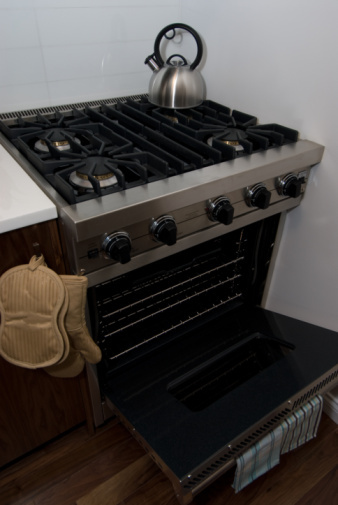 Some newer gas ranges also have burners specially designed to hold a low heat that will simmer liquids and sauces. Gas stoves, whether for domestic use or commercial kitchens, are generally designed the same way. 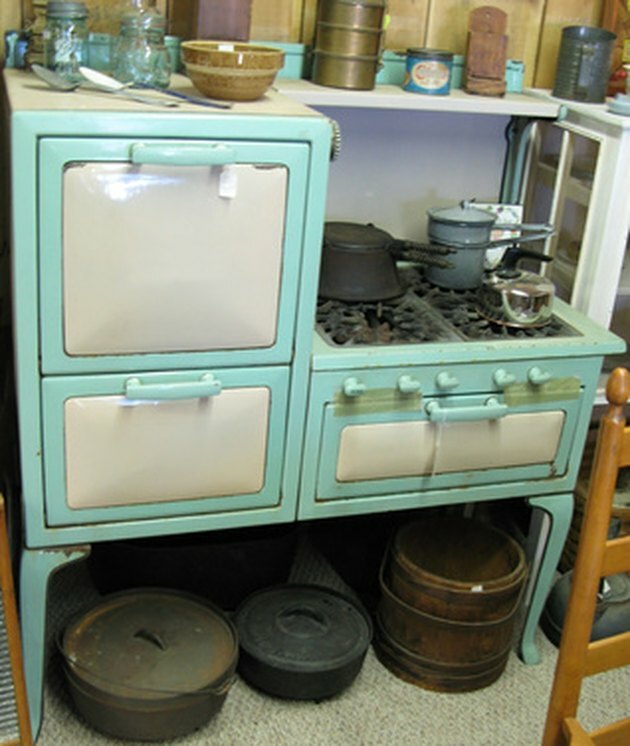 The basic design of gas stoves has not changed over time. Gas stoves generally have four burners on the stove top and one in the oven. The oven burner is below the oven floor. Many ovens are convection ovens which have an internal electric fan to distribute the heated air. The pilot light is a continuously burning flame that ignites the gas the moment a control is turned on. Some ranges have electric ignitions that create a spark to ignite the burner. A hand-operated valve controls each burner. A heavy-duty plastic knob, with heat settings clearly marked, can be turned clockwise to ignite and control the flame. When a valve is turned, the gas flows through the valve into a venturi tube, which mixes the gas with air for proper combustion. The gas is ignited by a pilot light. Although hidden, the oven valve has a thermostat to set the oven baking or broiling temperature. A copper tube leads into the oven from the valve control. It senses the temperature inside the oven and controls the gas flow. Some ranges have a hybrid electronic thermostat. The control panel may be as simple as the line of valve-control knobs along the front of the range to an electronic keypad at the back. The control panel may include a clock, interior oven light switch, self-cleaning switch, and an automatic oven timer.